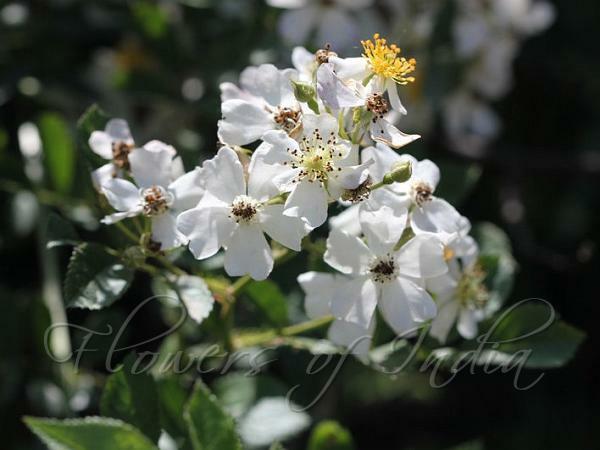 Multiflora rose is a thorny, perennial shrub with arching stems, and leaves divided into five to eleven sharply toothed leaflets. The base of each leaf stalk bears a pair of fringed bracts. Clusters of showy, fragrant, white to pink flowers appear, each about an inch across. The flowers superficially resemble Himalayan Musk Rose. Small bright red fruits, or rose hips, develop during the summer, becoming leathery, and remain on the plant through the winter. 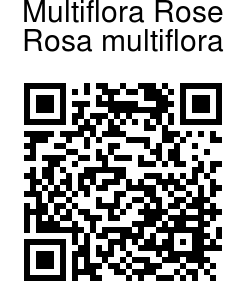 Multiflora rose is native to east Asia, cultivated in India.